Over the past five years a team of astronomers and I have been using the UK Infrared Telescope (UKIRT) to search the infrared sky for transiting or eclipsing systems. Such systems contain a star with an orbital companion that may be another star, or perhaps a planet. 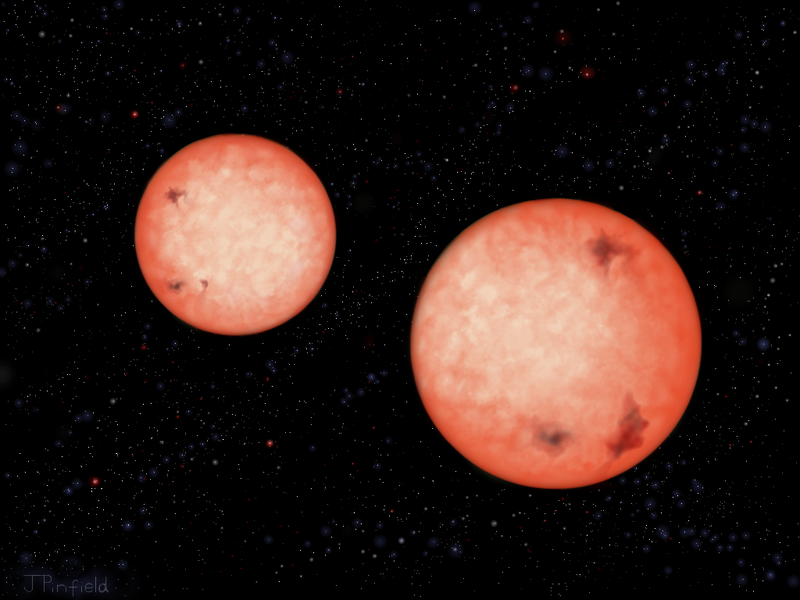 A system of two stars like this is known as a binary. If the companion regularly passes in-front of the star it will cause a dimming in the brightness we measure, and reveal its presence to our survey. We recently analysed the survey measurements and discovered four very surprising binary cool stars with orbital periods less than four hours. The reason these objects are so interesting is that prior to this there was thought to be a hard lower limit to the periods of such binaries. Binaries containing hotter stars always have orbital periods above five hours, because although their orbital rate decreases over time they have not had enough time (even over the age of the Galaxy) to slow their orbits enough. The new cool star binaries break through this limit, so we are seeing evidence for a new kind of binary evolution. It may be that cool stars like this are more magnetically active and produce powerful stellar winds that apply the brakes to their rotation. This would be analogous to a spinning figure skater extending their arms to slow down their spin. Indeed, these binaries will continue to spiral in and eventually (in a few thousand years) coalesce into one star.